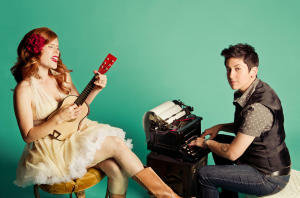 Mouths of Babes is Ty Greenstein (of Girlyman) and Ingrid Elizabeth (of Coyote Grace). Don Campbell is a contemporary/country crossover and folk-rock singer/songwriter whose clear and well-delivered presentation of music supports the story in the song and welcomes the audience on board for the ride. 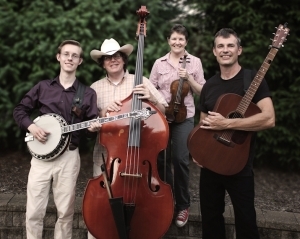 Often compared to the sounds of Dan Fogelberg, Vince Gill, and Chris Isaak, Don and his ensembles are based out of New England. Singer-songwriter and multi-instrumentalist Dan Fogelberg was a multi-platinum selling artist, with hits such as "Leader of the Band", "Longer", "Same Old Lang Syne," and a large and diverse catalog of over 20 albums. He passed away in 2007 after a three year battle with cancer. Fogelberg remains a huge influence and musical hero of Don's. 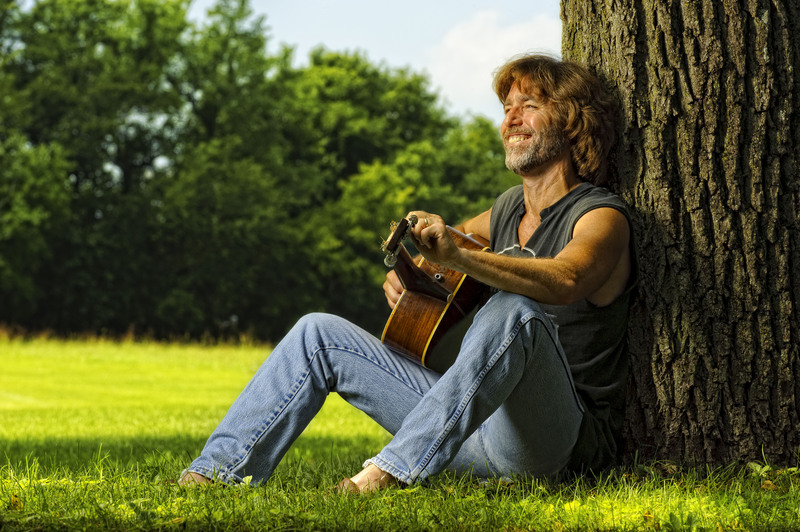 In 2012, Don released a double CD, Kites To Fly: Celebrating the Music of Dan Fogelberg, and in 2013 began presenting live performances of this music around his own busy schedule of Don Campbell shows. John Flynn's powerful songs of humanity and hope are deeply rooted in the traditions of Woody Guthrie and Phil Ochs. From barbed political verse to joyous fun-loving lyrics for kids, John paints vivid, lasting images with words and music, drawn from a palate of awareness, irony, humor and compassion. John began writing professionally in 1980 after graduating from Temple University with a degree in political science. A staff writing contract with Combine Music and a Billboard Magazine Top Forty country recording of his song, "Rainbows and Butterflies" by Billy Swann ("I Can Help") established John in the heart of Nashville's Music Row. Flynn's songs eventually transcended the boundaries of country music. John's songs have been recorded by artists as diverse as Chris LeDoux, Ronny Redman, Full Frontal Folk and Ronny Cox. His first main-stage appearance at the 1995 Philadelphia Folk Festival cemented John's reputation as a dynamic original contemporary folk artist. Songs that Flynn wrote for his own four children became the basis of two highly-acclaimed family CDs. John appears regularly on the Peabody Award-winning children's radio program, "Kid's Corner" and has been featured in New York City's Madison Square Kids' Series. In the new millenium, John began to speak and write about social justice issues, and his newest CDs reflect that change. 2004's Dragon proudly features backing vocals by Kris Kristofferson. The track, "Angel Dawson" was included in the 2005 season finale of TV's "Joan of Arcadia." 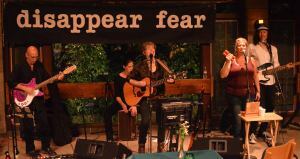 John's songs, "Blink," "Put Your Freedom Where Your Mouth Is," and "There's No Them There" are featured in the 2008 Robert Corna documentary, "Tiny Tears," a film about the global epidemic of pediatric HIV/AIDS. 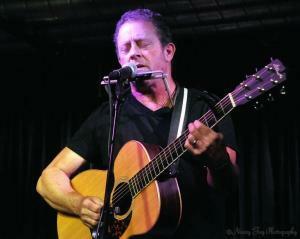 In 2005, Arlo Guthrie invited John to join his post-Katrina "Train To New Orleans Tour." Arlo says of John, "More than just a good songwriter, performer or guitar player, John Flynn is a friend because he actually does the kinds of things to make the world a little better." Off the road, John enjoys time at home with his family. He volunteers with a men's discussion group in a Delaware maximum security prison. He is a devoted supporter of Camp Dreamcatcher, an organization providing a safe haven for children living with HIV/AIDS. With only an old Martin D-28 and harmonica for accompaniment, John's compelling songs, strong voice and open heart are turning strangers into believers and believers into friends. 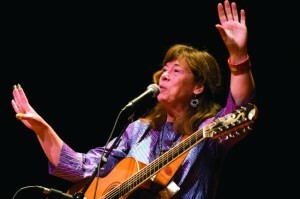 Kerri Powers started out performing in coffeehouses throughout her native New England, and has released several albums. 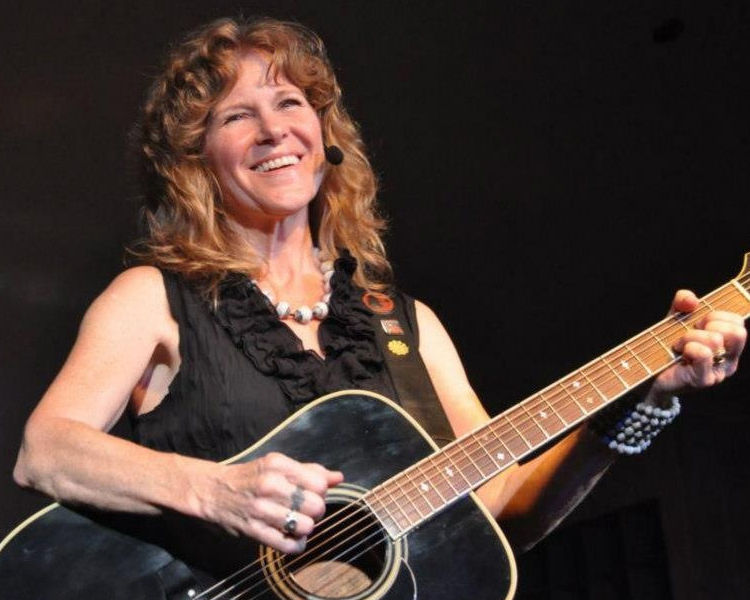 Two of her songs were featured on the television series, “Rescue Me.” After taking time off to get married and raise her young son, she returned to performing, counting among her credits the Boston Folk Festival, Philadelphia Folk Festival, and Telluride Bluegrass Festival, among other prestigious gatherings. She’s also toured Europe while opening for singer/songwriter Fred Eaglesmith. This flurry of activity recently culminated in a self-titled album, her first studio effort in five years. With a track list that includes eight searing self-penned songs and two inspired covers (Janis Ian’s, “Jesse,” and The Bee Gees’, “To Love Somebody,” it is a most welcome continuation of a fine body of work, a sound that’s homespun, sparse and understated. In this holiday concert, Lee Murdock and his band celebrate the Christmas holidays steeped in Great Lakes heritage. The story of the Rouse Simmons is a holiday remembrance of loss and renewal, love, and the resilience of the human spirit. The ship's captain, Herman Schuenemann, was well-known and loved on the Chicago River docks where he sold (and sometimes gave away) the trees brought down from Manistique. The ship was lost in Lake Michigan in November 1912, but the captain's wife and family kept up this tradition for 22 years more, well beyond the days of the tall ships on the Great Lakes. There were many Christmas tree ships on the Great Lakes, but the Rouse Simmons is famed for her family. Numerous books, children's stories, and museum exhibits have kept this story alive. 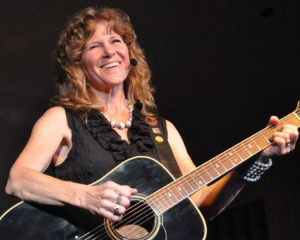 Lee wrote and recorded his song about her in 1989, and has presented an annual concert ever since to remember this story and many other songs and stories about family ties, and the holiday season, against a backdrop of mariners and Michigan history. 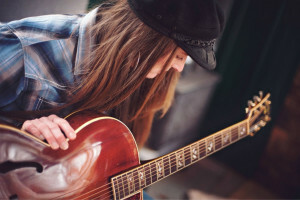 Katie Geddes sings traditional and contemporary folk, country-folk, and folk-pop tunes. A deft interpreter of beloved songs, her captivating voice and velvety-smooth delivery bring new life to the compositions of writers such as John Prine, Buffy Sainte-Marie, Michael Nesmith and Lennon and McCartney. Katie’s latest CD release, We Are Each Other’s Angels, features an inspired roster of guest artists including Michael Johnson, Mary McCaslin, Don Henry and Small Potatoes, and has received extensive airplay across the country and around the world.When not doing her own gigs, Katie has been known to “moonlight” singing harmony for folk- rock legend Melanie and local favorite Matt Watroba. Matt Watroba brings a special set of talents to the stage. His mellow voice, friendship with his audience, and knowledge of his presentations is impressive. Add to that Matt's own special brand of humor and you are in for a most entertaining and enlightening set. You will feel his love of folk music, both traditional and contemporary; its writers and performers, its heroes and villains. Matt sings songs of compassion, inner strength, humor, and everyday living. David Barrett writes songs about children. And criminals. He writes music about golf. And Norman Vincent Peale. He struggled for years, scrapping for gigs (and, in his words, "driving for checks") only to become the proverbial "overnight sensation" in a field he'd never dreamed of storming. Barrett recalls, "In 1985, I was visiting a friend in New York City who was a writer for Sports Illustrated. We were watching the NBA Finals, talking about sports and life, and I remembered that I had written this song about sports and achievement, so when I got home I sent it to him. He took it over to CBS, and they called me up out of the blue.” The song, of course was “One Shining Moment,” the paean to endeavor that now crowns the NCAA Basketball Finals. A version sung by Luther Vandross pushes the song’s power to a new height. David Barrett: a handsome guy singing provocative, hauntingly beautiful songs in which he tackles lost love, high comedy and the physics of life. Vocal trio All About Eve (Katie Geddes, Deb Wood, David Vaughn) offers up a variety of close-harmony pop covers and traditional and contemporary folk and gospel songs, accompanied by Dan Reynolds on guitar, David Stearns on bass, and Lori Fithian on percussion.